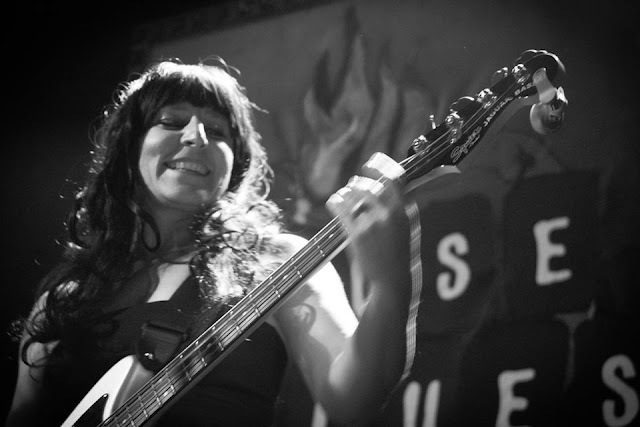 Rachel "Sweet" Pack has been the bass player for Wild Pack and the Blues Against Hunger Tours since 2013. Since then she has played with hundreds of players on the west coast and Mexico. Rachel is originally from Walnut Creek California before moving to Fresno in Central California. Rachel grew up loving fitness and dance, leading her to the position of Vice President of the California State Fresno Kinesiology Club. There, she worked to produce the KPC Fitness Expo for 3 years, which lead to her wearing many hats; marketing director, event promoter, technical advisor and talent manager. Today she is the bass player for Sweet Sixx and the Wild Pack.